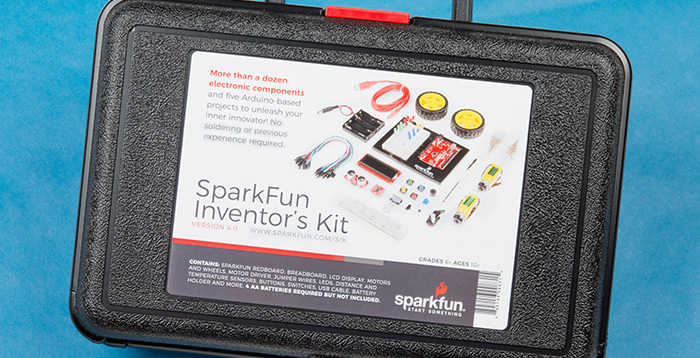 The SparkFun Inventor's Kit (SIK) is a comprehensive all-in-one kit that teaches embedded electronics through fun, project-based circuit building with no soldering and no programming experience necessary. 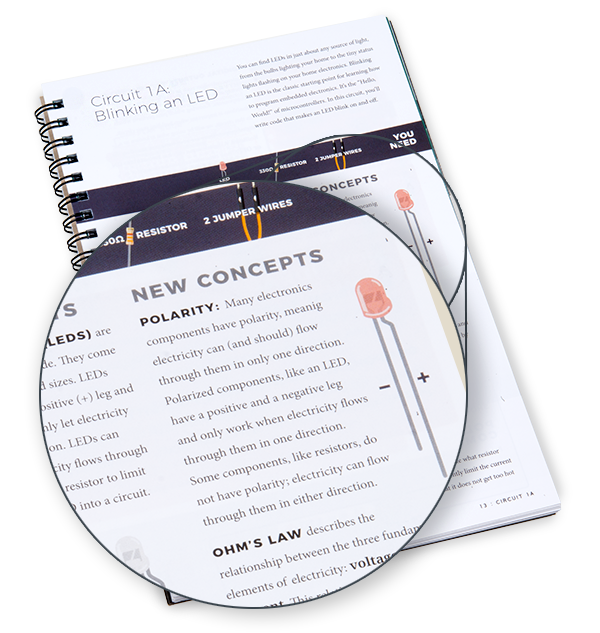 Basic electronics concepts, included components and Arduino code are introduced at point of use in the context of each project in the SIK v4.0. Basic electronics concepts, included components and Arduino code are introduced at point of use in the context of each project in the SIK 4.0. 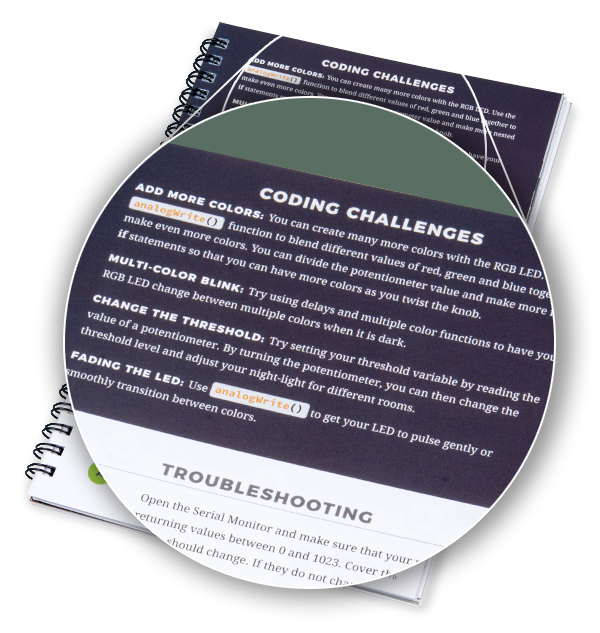 Push yourself to the next level by modifying your code or changing your circuit. These challenges let you extend your learning and try your own ideas. Familiar With Previous Versions of the SIK? Here are some of the biggest differences between previous versions and the SIK v4.0. 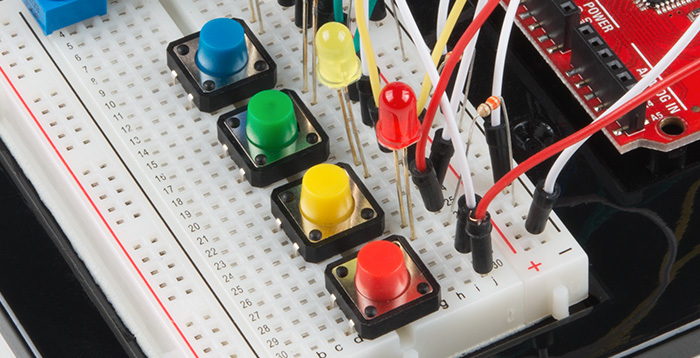 The SIK v4.0 has more breadboard-friendly components to make circuit building even easier for those just getting started. The resistors have thicker leads while maintaining the same wattage, making them more durable. Also, the buttons have straight legs to easily fit into your breadboard. The SIK comes in a universal hard case that will provide users with a great place to store electronics when they’re not in use. The case can also be used as an enclosure for most any project you can think up. 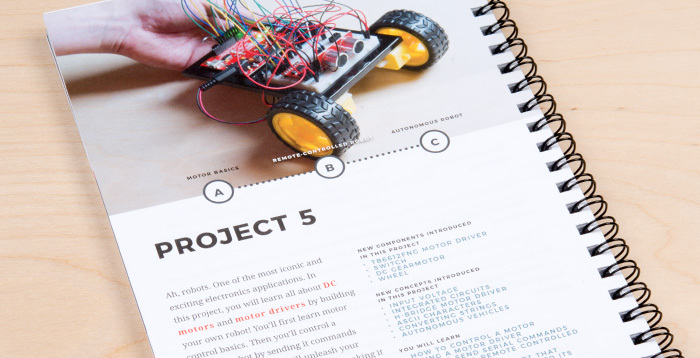 The all-new spiral-bound SIK guide is your manual to learn electronics. Each circuit is easy to follow and build, allowing you to concentrate on learning, not reading, complicated instructions. 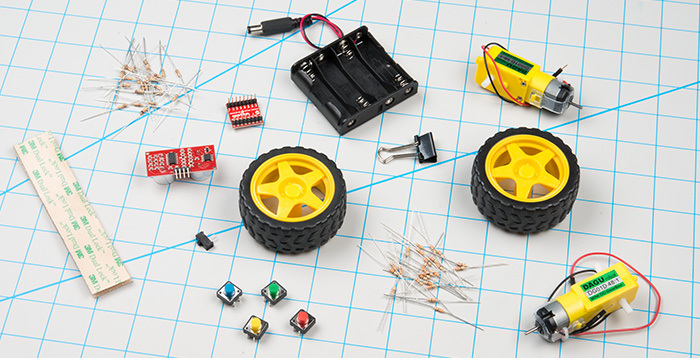 To add more depth to the SIK and the concepts it teaches, the capstone project covers robotics concepts that will allow beginners to create their own autonomous robot!